Aww, here is one of my favorites! 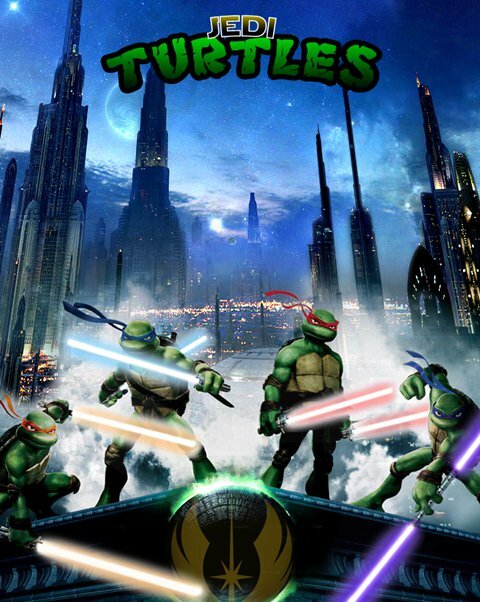 Jedi Turtles! The assignment was to combine our favorite movie with our favorite childhood cartoon! 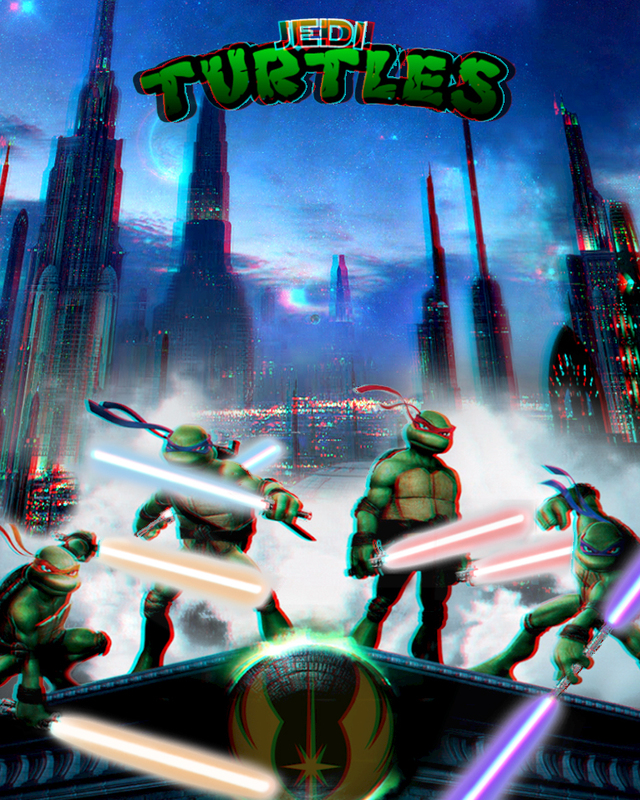 We made these into lenticular prints which we ordered at SnapilyPro! Below is the normal print, and the 3D print which can be viewed with the RED and BLUE 3D lens glasses.